Available in a max die weight of 2205 lbs. 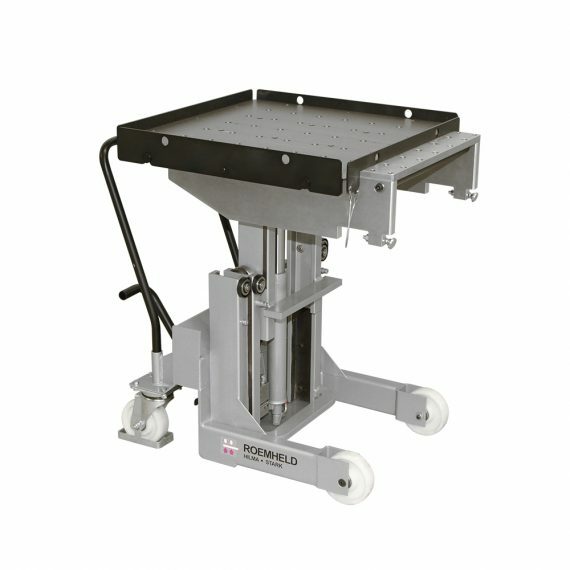 Die changing carts RW are manually moved.The die changing table is equipped with ball inserts which facilitate the manual insertion of the dies. During the transport, the ball inserts are lowered and the die is protected against movement. In addition, the die is secured against falling down by safety bars at all sides of the die changing table.The die changing table can be adjusted in height by means of a pedal-operated lifting unit. Precision lowering is effected by a pedal – additional precision lowering for lowering the lifting unit with millimetre accuracy. 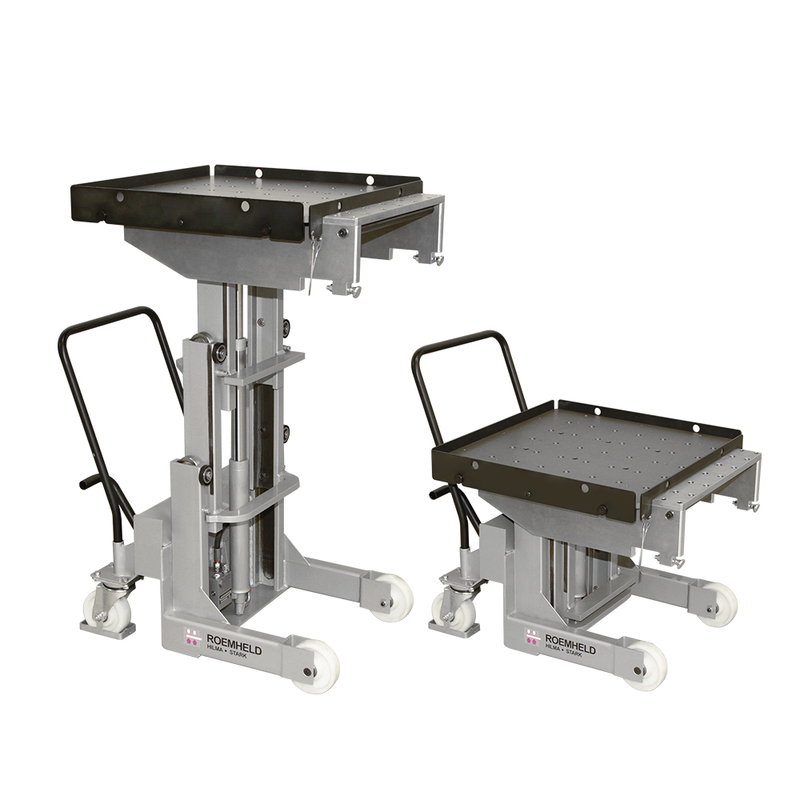 For transport, the centre of gravity of the load must be positioned in the centre of the cart and the lifting columns must be completely lowered.